Samsung Electronics America has announced an exclusive US marketing and retail partnership with Xbox to utilise Samsung’s lineup of QLED TVs as the official 4K TV partner for the Xbox One X. 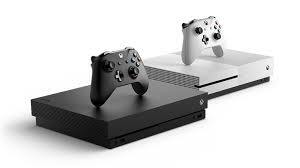 The partnership kicked off at E3 2017 in June as attendees experienced, for the first time ever, true 4K HDR gaming on Xbox One X and Samsung QLED TVs. Gamers will be able to experience the power of Xbox One X on QLED 4K TVs at various Xbox and Samsung marketing and retail activations throughout the US. Consumers will also see a custom Samsung TV spot showcasing Xbox One X and QLED together that will run nationally around the launch of Xbox One X this fall.